The God Box show continues to tour the US and Ireland. 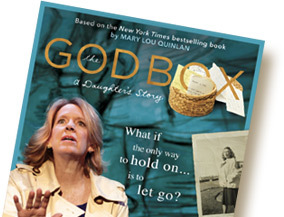 Enjoy this book trailer that introduces The God Box. See Mary Lou in a scene from her one woman, one act play. Let go. On the go. Learn more about "The God Box" - free - iPhone app here.